We were happy to welcome Tempe back into the herd in 2015 when her long time owner prepared to leave for college. She has shown very well in youth fair classes and been extremely productive in filling the milk pail. She has a very long bone pattern and is very deep bodied with an udder that has remained strong through many years. Tempe will be bred to *B Branicur AJ Elle Mer for Jan or Feb 2018 kids. Maggie is the last Shiyloh daughter, and she has a very nice, improved version of her dam's wonderful mammary- so she definitely stays! 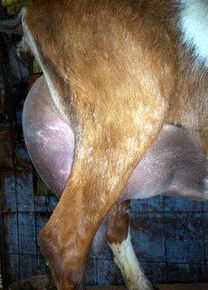 She has a wonderful medial and her dam's smoothly extended fore udder, but with more attachment and better teat shape. She is very long, tall, and leggy, which we expected from this breeding. 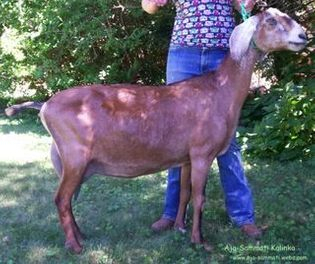 Maggie has matured into a smoothly blended, deep bodied, and productive doe. Maggie will be bred to *B Wilkins Farm RW Night Moves for Jan or Fen 2018 kids. Martina was offered to us as a bred doe, and has happened in the past, Phoebe was the one with the money to invest. Since she has freshened, Phoebe has not had reason to be disappointed. Marty is very wide with no lack of dairyness. She has an exceptionally strong mammary, wide, well attached, a very well extended fore, and she has been milking about 12 lbs a day at a couple of weeks fresh. She is an exciting addition to the herd. We hope to breed Martina to +B Branicur Farms Ace Jumanji for April 2018 kids. Kalinka is tall, stylish, dairy but strong, and elegant. We especially love her rear udder, correct teat position, and lovely definition to the udder halves. This doe's strength is the exceptional daughters she is producing. A horrific kidding with a decomposing kid in 2016 left her with a lingering uterine infection which we have hopefully cleared up. Skittles is one of two last daughters from our herd matriarch, Merry. Both are very nice does. Skittles excels in milk production- even after being moved home from Colorado one year she still milked over 10 lbs a day, and we were trying to get her down to once a day milking. She has really filled out and grown this year- she is very deep bodied, with a wide, flat rump, and a very level top line. Skittles will be bred to *B Reuel Zina's EXP Tyco for April 2018 kids. 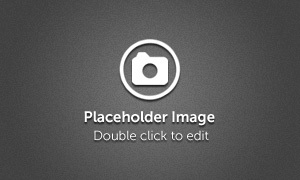 We love Shalom's general appearance- she is long, tall, and elegant without any lack of dairy strength. 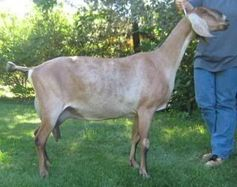 She has excellent breed character and has matured into a huge doe. She is a very level and steady milker like her dam, but we are disappointed that she never carries as much milk as we would like and therefore doesn't show enough capacity. 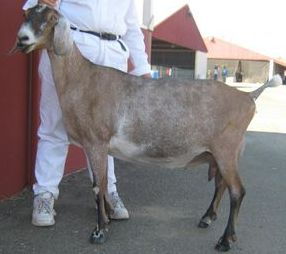 Her kids are very correct and have placed well in local shows. Shalom will be bred to *B Aja-Sammati Count On Me for 2017 kids. Venus was a special extra addition to Phoebe's herd in the summer of 2016- she simply fell in love with her style, strength, and showiness. We look forward to seeing her in the ring.